The COEHS program is focused on improving the safety and quality of hernia patient care worldwide and lowering the overall costs associated with successful treatment. Data from COEHS participants will be used to determine which treatment works best for which patient under what circumstances. This information enables clinicians, patients, payors and policymakers to make informed decisions that improve healthcare at the individual level and for the patient population as a whole. The COEHS program helps position providers of hernia surgery at the forefront of care and demonstrate the improved outcomes and cost savings that result from a quality initiative. The applicant facility demonstrates a commitment to excellence in hernia surgery from the highest levels of its medical staff and administration. This commitment includes having specialty-specific credentialing and privileging guidelines in general surgery, hernia surgery and advanced laparoscopic surgery. The applicant facility performs at least 100 hernia surgery procedures annually. Each applicant surgeon has served as the primary surgeon for at least 125 hernia surgery procedures in their lifetime, and performs at least 50 procedures annually. For surgeons, procedures performed at any facility may be used toward volume. Surgeons must have served as the primary surgeon for a procedure to qualify. If the surgeon’s role as primary surgeon has been properly documented, procedures performed during fellowship or residency may qualify. Cases in which the surgeon served as co-surgeon or assisting surgeon do not qualify. Participate in the relevant decision-making administrative meetings of the facility. 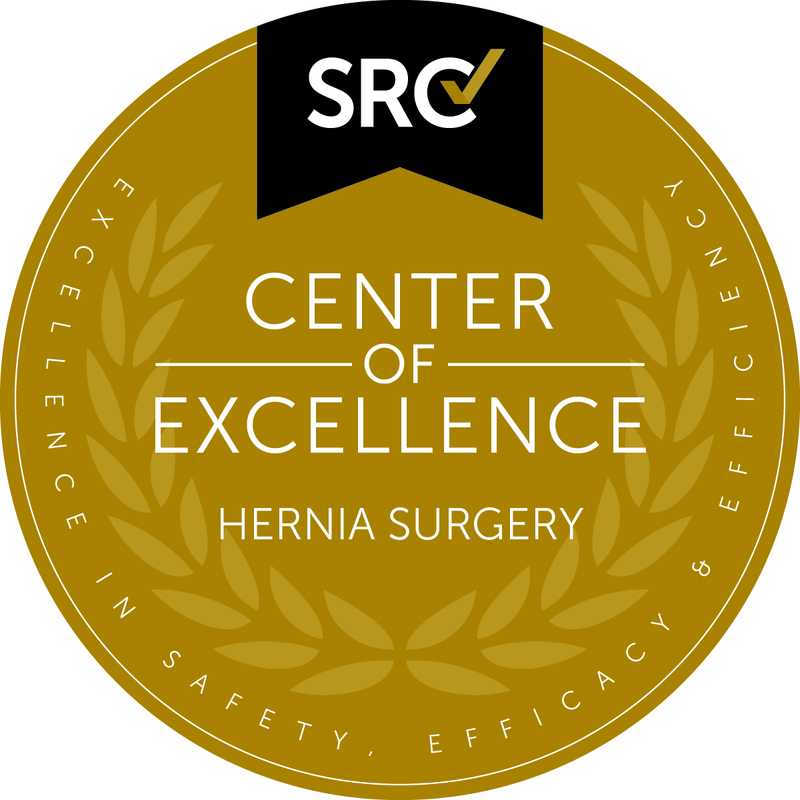 Be accredited, or in the process of becoming accredited as a Center of Excellence in Hernia Surgery (COEHS) surgeon. Be primarily responsible for coordinating the multidisciplinary services and systems for hernia surgery. Participate in multidisciplinary team meetings. Multidisciplinary team meetings should be held at least quarterly to ensure that decisions related to hernia surgery are addressed in a comprehensive manner. The applicant facility must have a full complement of consultative services required for the routine and intensive care of hernia surgery patients and their potential complications. Anesthesiologist or certified registered nurse anesthetist (CRNA) who supervises anesthesia delivery on all hernia surgery patients and is physically present until the patient is discharged from the PACU. Following PACU discharge, the anesthesiologist or CRNA must be available onsite within 30 minutes if needed. Physician certified in Advanced Cardiovascular Life Support (ACLS) or equivalent, or an acute response team, at least one of which is ACLS-certified, trained with an established protocol to follow in the event of a sudden respiratory or cardiac event. The applicant facility must maintain a full line of equipment and surgical instruments to provide appropriate perioperative care for hernia surgery patients. Facilities must have documented training for appropriate staff in the safe operation of this equipment. If the facility does not have an emergency department or intensive care unit, it must have equipment, such as ventilators and hemodynamic monitoring equipment, necessary to resuscitate and stabilize critically ill patients until they can be transferred to another facility. Each applicant surgeon spends a significant portion of their efforts in the field of hernia surgery and has active, full privileges in general surgery, hernia surgery and advanced laparoscopic surgery (if applicable). Each applicant surgeon is board-certified or an active candidate for board certification in their surgical specialty by the highest certifying authority available. Each applicant surgeon must complete at least 12 hours of continuing medical education (CME) focused on hernia surgery every three years. Only American Medical Association Physician’s Recognition Award Category 1 Credits or similar credits from a CME accrediting body outside the United States or three national or international meetings qualify. The applicant facility has policies in place that require all hernia surgeons to have qualified call coverage, and each applicant surgeon certifies that each covering surgeon is capable of identifying and treating hernia surgery complications. Each covering surgeon is board-certified or an active candidate for board certification in general surgery by the highest certifying authority available and has admitting privileges at the co-applicant facility. The first five pathways will be deemed satisfied if the facility has accreditation from The Joint Commission (formerly known as JCAHO), DNV-GL or an equivalent healthcare organization approved by SRC. The applicant facility employs nurses and/or physician extenders who provide education and care to patients as well as an operative team trained to care for hernia surgery patients. The facility and each applicant surgeon must provide all hernia surgery patients with comprehensive preoperative patient education. The facility and each applicant surgeon must also have a process for obtaining informed surgical consent and selecting procedures that are most appropriate for each patient’s condition. Each applicant surgeon must collect prospective outcomes data on all patients who undergo hernia surgery procedures in SRC’s Outcomes Database (or a similar qualifying database) in a manner consistent with applicable patient privacy and confidentiality regulations. This de-identified data must be available to SRC for initial and renewal inspections or upon request. The site inspection fee covers a one-day inspection with one site inspector and includes one COE program with up to four co-applicant surgeons. A day will be added to the site inspection for every four additional co-applicant surgeons or each additional COE program. Each additional day is $925. Applicant facilities are responsible for arranging and paying for the site inspector’s hotel, ground transportation and, if needed, an interpreter/translator. These items are not included in the standard site inspection fee.